We offer a wide variety of programs including dance, cheerleading and taekwon-do for children in Chester, Mahone Bay, Lunenburg, Blandford and Bridgewater, including after school programs (Monday to Friday) for ages 4 and up. Our goal is to provide quality programs with great instruction that are accessible for everyone. 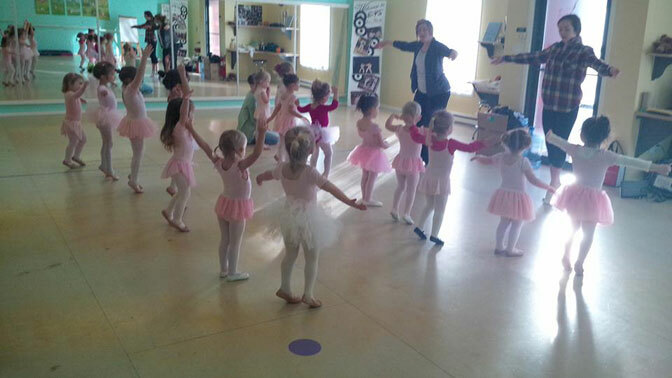 We offer over 65 classes a week including competitive and recreational dance classes (Ballet, Contemporary, Tap, Jazz, Combo Classes, Mommy and Me) for ages 2 and up 7 days a week. We have a Tumbling class for ages 7+, Tumblebugs for ages 3-5; Competitive Cheerleading (senior, junior and mini teams); Musical Theatre and Voice; Intro Teen Dance classes; Taekwon-Do belted program (ages 5 to teen). We have space that we rent at HB Studios Sports Centre for dance classes and at the Lunenburg County Lifestyle Centre in Bridgewater. We are running 8 weeks of Summer Camps in Chester and Bridgewater.